Sign-Up to attend a free 30 minute Consultation / Orientation held on every other Saturday @ 1:00 PM (STARTING MARCH 2019) in the township of Chandler in Arizona and/or in Chicago, Illinois (Exact date:TBA). Please type " confirm attendance" in the comment section below. You may also express any other particular interest or comments in this section. You will be notified by phone text or email confirming your attendance. The deadline request to attend any orientation is always 48 hours prior to the start time of the orientation. UPON ARRIVAL REMEMBER TO ENTER THE DRAWING FOR A CHANCE TO WIN 2 HOURS OF FREE TRAINING ﻿(CONTINGENT UPON AT LEAST 10 PARTICIPANTS BEING PRESENT). THE DRAWING WILL TAKE PLACE AT THE END OF THE ORIENTATION SESSION. THERE WILL BE A MAXIMUM OF 2 WINNERS, AS YOU MUST BE PRESENT TO WIN. Th﻿﻿﻿﻿﻿e 30 hour Certificate Program is based on 2 days per week for 5 weeks. The training day sessions are 3 hours long totaling 6 hours per week generally from 6:00 pm to 9:00 pm on Tuesdays and Thursdays as well as and Saturdays and Sundays starting at 2:00 pm if there are two (2) Certificate Programs taking place (pending the number of enrollments). Open enrollment and Certificate Program training in Chandler, Arizona takes place starting the fall season generally the last week of September and every two (2) months thereafter through spring. The Chicago, Illinois training takes place in the summer season only, generally beginning the 3rd-4th week of June. Complete this training and request a free custom video Ad with Animated Graphics to promote your new business, trade and/or company name. If you do not enroll in the Certificate Program but would still like to attend certain training day sessions, then you may attend only in the absence of someone who is a participant of the Certificate Program at the regular price. One-on-one personal training is also an available option. Discounts apply only to those enrolling in the full Certificate Program. UPDATE: CHICAGO STUDIO CURRENTLY UNDER RENOVATION. 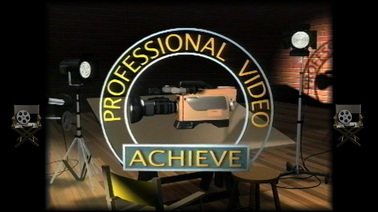 TRAINING NOW HELD IN A HOME BUSINESS VIDEO/EDIT SUITE ENVIRONMENT NEAR EVERGREEN PARK. Training in Arizona is held in Chandler / Gilbert (location subject to change).